Sydney-born singer-songwriter Dean Lewis has slowly been dominating the international charts, and his heartbreakingly honest perspective about love lends itself perfectly to a gritty and fresh debut LP. 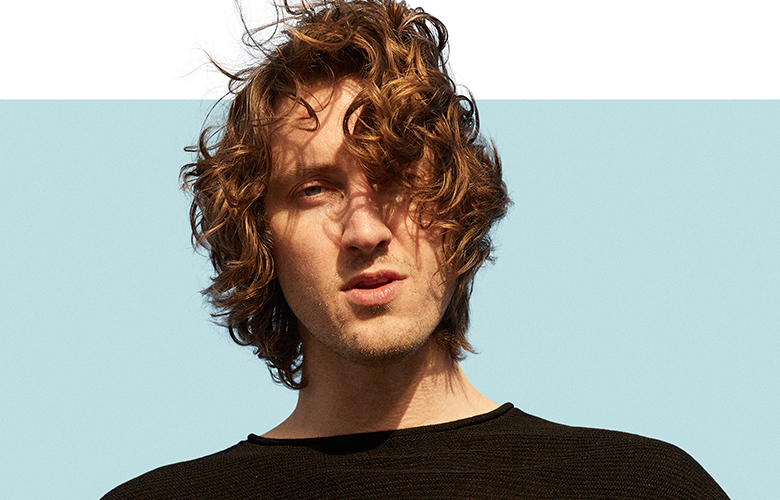 It has been two and a half year since Dean Lewis released his debut single, ‘Waves’, which reached number 12 on the Australian charts, and has been featured in a number of different television shows including Grey’s Anatomy and Riverdale. Since then Lewis has released a plethora of hit singles, including ’Be Alright’ which has since become his biggest success and after climbing for seven weeks, became his first number one single, reaching number 11 on the official UK charts as well. Both ‘Waves’ and ‘Be Alright’ feature on Lewis’s twelve track debut album, which details the heartbreaking and honest truth of falling in love and falling out again, with Lewis using his rough voice to depict his stories. The opening track ‘Hold of Me’ starts the album perfectly, starting simply with nothing more than his voice and a single guitar, before building powerfully to a chorus of his vocals against a strong backing of trumpets and drums, creating an enticing opening track. The album develops strongly, leading into the first single off the album, ‘7 Minutes’, detailing the regret and nostalgia felt after any heartbreak. Questioning whether it is “too late to turn around”, Lewis admitted previously that the idea for the song came from sitting in the back of an Uber after having an argument with a girl he was seeing, relatable to many listeners, whilst Lewis’s voice plays perfectly against a relatively simple backing beat, creating a melodic illusion. This is a common theme throughout the record, Lewis’s painful and honest words juxtaposing the melodic backing beats and production, but the reason for this is simple. When the album was first released, Lewis admitted he “wanted to make something authentic [and] raw”, without losing the entertainment value of a record, the titular track demonstrating this perfectly. Lewis sings that “your heart is my home, and I’m not letting go”, strongly supported by an acoustic selection, demonstrating how Lewis’s strong acoustics are what sets him apart from other ‘indie’ artists. From Lewis’s perspective, these painful relationships are always in the past, he is either leaving them behind, or reminiscing on the memories they provide, creating a nostalgic and painful outlook on love. Lewis has admitted in the past that even his more up-tempo songs like ‘Stay Awake’ and ‘Straight Back Down’ are fuelled by this same sense of sadness. How does this make for a good record? When Lewis was starting out in the business, he was originally offered a job as a songwriter, before he decided that only he could sing about his experiences truthfully, making his words even more substantial. Whilst some may compare Lewis’ vocals to that of Ed Sheeran or James Bay, Dean Lewis has proved with this debut that he is an artist to watch in the coming months and has created a solid starting foundation that he will only be able to build upon. You can stream ‘A Place We Knew’ on Spotify.